IRC Podcast with Mick Napier! 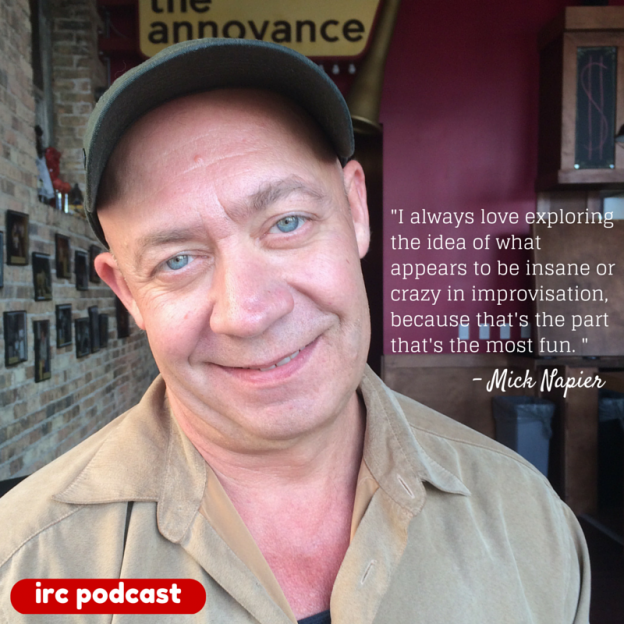 Mick Napier, the Artistic Director of the Annoyance Theatre is our guest for the IRC Podcast. We talk about nudging students to get better, breaking out of your habits, playing without making sense, presenting long form, improv auditions and Martin de Maat. To support the IRC podcast, visit patreon.com. You can subscribe to this podcast in iTunes. Author mullaneyPosted on June 24, 2015 Categories improv, IRC Podcasts, podcastsTags improv, Improv Resource Center, IRC Podcast, Kevin Mullaney, Mick Napier, The Annoyance TheatreLeave a comment on IRC Podcast with Mick Napier!